Purchase tickets by clicking an available showtime. 120min. Directed by Yorgos Lanthimos. Early 18th century. England is at war with the French. Nevertheless, duck racing and pineapple eating are thriving. 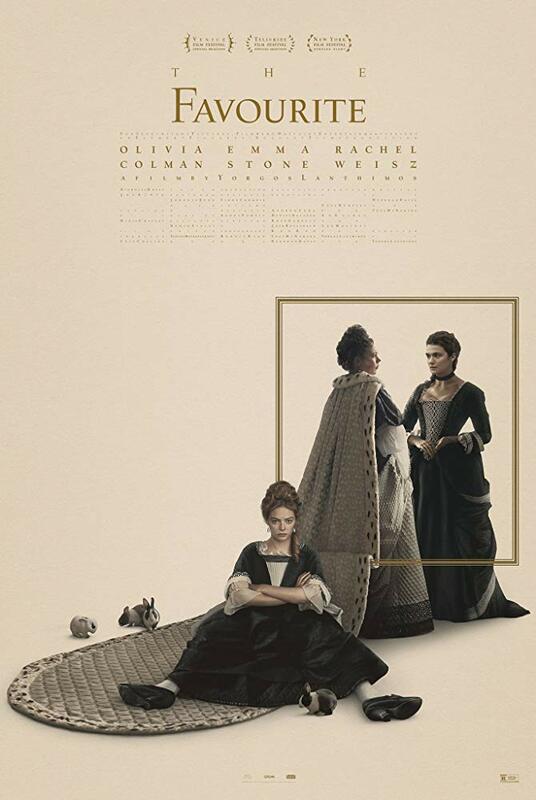 A frail Queen Anne (Olivia Colman) occupies the throne and her close friend Lady Sarah (Rachel Weisz) governs the country in her stead while tending to Anne"s ill health and mercurial temper. When a new servant Abigail (Emma Stone) arrives, her charm endears her to Sarah. Sarah takes Abigail under her wing and Abigail sees a chance at a return to her aristocratic roots. As the politics of war become quite time consuming for Sarah, Abigail steps into the breach to fill in as the Queen's companion. Their burgeoning friendship gives her a chance to fulfil her ambitions and she will not let woman, man, politics or rabbit stand in her way. All seats for all shows are reserved and can be purchased at the cinema or online. To ensure that you will have a seat for your desired show, buy your ticket online. If you print out your ticket at home, you can skip checking in at the counter and be ready when seating is announced. Food and drinks are available and can be taken into the auditorium with you. Arriving NO LESS THAN 45 minutes early is advisable as it allows time to relax in the lounge while your order is prepared. Please be aware that there is no in-theater wait staff. Each chair has a fold out table on which to place your food and drinks.